With close to half of the team at Call of Duty: Modern Warfare 2 developer Infinity Ward bailing on the troubled developer, publisher Activision appears to have found a new source for Call of Duty development. Raven Software, the developer of sci-fi shooters Wolfenstein and the recently completed Singularity, has been pulled off its current projects and may be the latest studio to pick up the Call of Duty slack, according to a source close to the studio. Kotaku was told that the developer has had its next game, one based on the James Bond franchise—to which Activision holds the rights—put on hold. Raven's other future game, one based on the X-Men franchise and a follow-up to its work on X-Men: Origins Wolverine, is said to have been put on the backburner as well. The team is said to now be on the path to Call of Duty development, with Activision allegedly "flipping out" about the current Infinity Ward situation. Activision execs said earlier this month that the IW team is working on another Call of Duty game in addition to further map pack development. 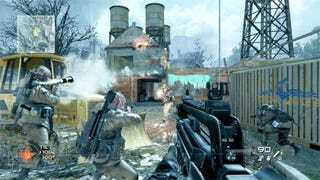 The next Call of Duty title, Call of Duty: Black Ops, is currently in development at World At War developer Treyarch, due for a November 9 release on the PlayStation 3, Xbox 360, PC and Wii. One more map pack is due for Modern Warfare 2, now dated for a June release. Kotaku has reached out to Activision and Raven Software seeking comment. Update: "Activision does not comment on rumor and speculation," Kotaku has been told.